The founder of Adams Law has passionately pursued the vindication of the rights of employees who have or are regarded as having a disability to be free from disability discrimination at work. There is perhaps nothing as shameful to her as an employer who fails to protect one of its employees from such treatment or which encourages an environment that does not afford these productive members of our society the respect and dignity they deserve. If you have been treated differently at work because of a disability, a perceived disability, your association with an individual with a disability, or upon returning from medical leave, your rights may have been violated. Discriminating on the basis of physical or mental disability in various aspects of employment, including: recruitment, firing, hiring, training, job assignments, promotions, pay, benefits, lay off, leave and other employment-related activities. Creating or maintaining a workplace that includes substantial impediments to the free movement of people with physical disabilities. Refusing to provide a reasonable accommodation to employees with physical or mental disability that would enable them to continue to work. Cutting your hours, relocating you, or changing your responsibilities, title or pay after you return from medical leave. If you have a disability and are qualified to do a job, there are federal and state laws protecting you from job discrimination, harassment, and retaliation on the basis of your disability. If you believe you have such a claim, please take the time to fill out our Potential New Client Information and Fact Sheet or Call Us Today. The following information is provided to help you in understanding the basic framework of the laws in California. In California, “disabled” means you have a condition that limits one or more major life activities: breathing, seeing, walking, caring for yourself, working, social activities, reading, eating, digesting, hearing or communicating. California law recognizes both physical and mental disabilities such as developmental disorders, organic brain syndrome, emotional or mental illness, or specific learning disabilities, so long as that condition limits a major life activity. If you are a disabled person who possesses the education and training required by the position you seek or hold and can perform the essential functions of that position with or without an accommodation, you have a right to be treated equally with all other applicants and/or employees and cannot be treated differently as a result of the disability. Employers have a legal obligation to provide reasonable accommodations. They do not have to provide the accommodation preferred by an employee and they only have to provide accommodations that do not create an undue hardship on the economics and/or workplace functioning of the employer. Whether an accommodation is reasonable or places an undue hardship on the employer takes into account the size and economic capacity of the employer as well as the cost, expense, and disruption associated with the accommodation. The law imposes a duty on an employer that is aware of a disabling condition of an employee to timely, and in good faith, engage in an interactive process with that employee to determine whether a reasonable accommodation is available. An employer who fails to engage in a good faith interactive process is in violation of the law and may be subject to liability for that violation. If you tell your employer that you are disabled, you are also entitled to a reasonable expectation that your employer will keep that medical information confidential and distribute it only to people who need to engage in a good faith interaction or otherwise provide an accommodation. Many companies have policies regarding anti-discrimination and harassment in their company handbooks. Likewise, they may have reporting requirements which require that you follow a certain channel of communication in requesting an accommodation and/or reporting harassment, discrimination and/or retaliation. You should follow these procedures and document your actions in writing. Failure to follow these procedures may lead to a denial of your legal right to recover certain damages like punitive damages. 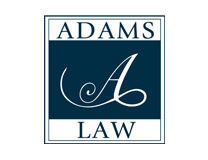 If you believe that you are being discriminated against or harassed because of your disability contact Adams Law for a free case evaluation.